About a year ago we partnered with Payoneer to provide our publishers more payment options. We know that checks can be difficult to get cashed, they take a long time to get to some of international publishers, and that not all countries are supported by PayPal. 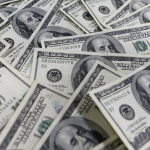 By offering Payoneer as an option we have given our current and future publishers a better method to receiving their payments which in turn gets them their money quicker and keeps their campaigns running at full speed… more money for everyone! For the month of February anyone who signs up for Payoneer will get the $12.95 setup fee waived. Not only will you be able to get your payments quicker, but it won’t cost you anything to do it! Prefer to receive your payments directly to your bank account? No problem! Payoneer’s Global Bank Transfer service allows you to get paid directly to your bank account in over 35 currencies, to over 200 countries! 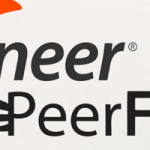 To sign-up to Payoneer, login to your PeerFly account and choose Payoneer as your payment option under Payment Info on your Profile.